Everyone has heard of the myth that there is a "Pot of Gold" at the end of a rainbow. Instead of searching and searching, you can have a Pot of Gold right at your fingertips! 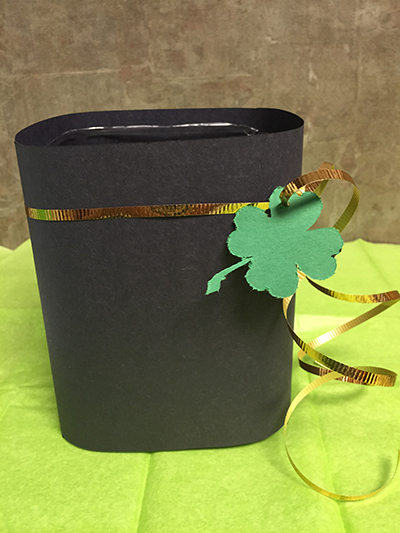 Get into the St. Patrick's Day spirit this year with this DIY Pot of Gold tote using an empty Old Orchard juice bottle. 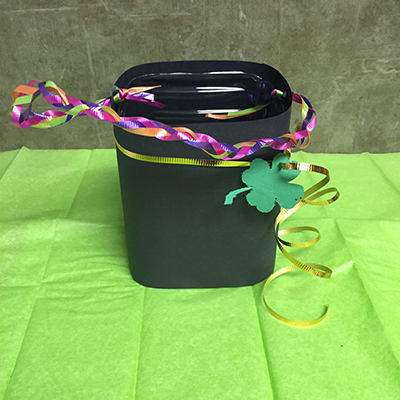 This tote can be used as a candy holder for your St. Patrick's day party guests, in a classroom, or just as a center piece. Fill with your choice of candy! 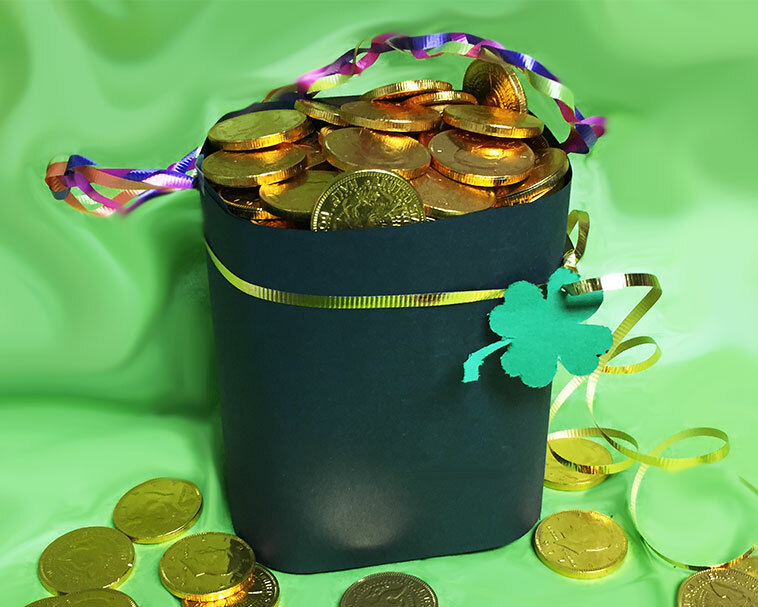 We went with milk chocolate gold coins to go along with the St. Patrick's day theme, but any candy will do! Step 1. Cut the top of the juice bottle off. Step 2. Measure the height of the bottle. 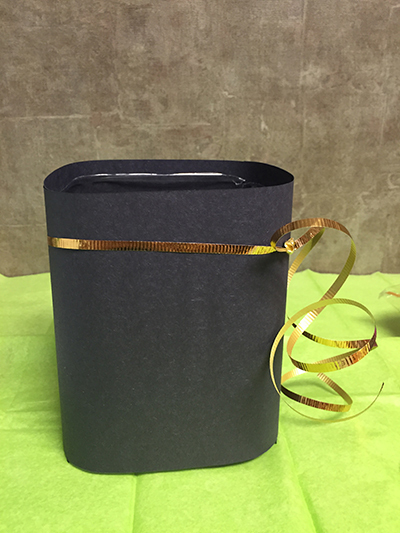 Cut two 6-inch strips of black construction paper to use to wrap around the bottle. Step 3. 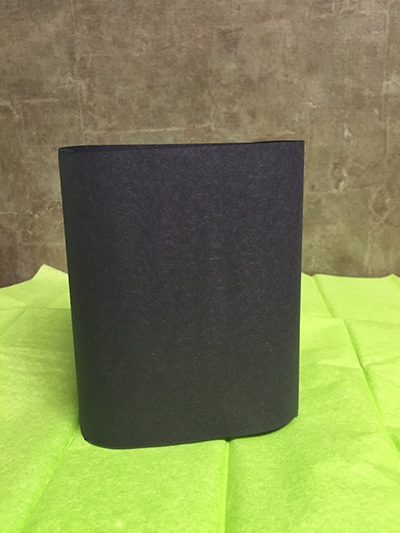 Wrap the black paper around the bottle and tape to secure it in place. Step 4. 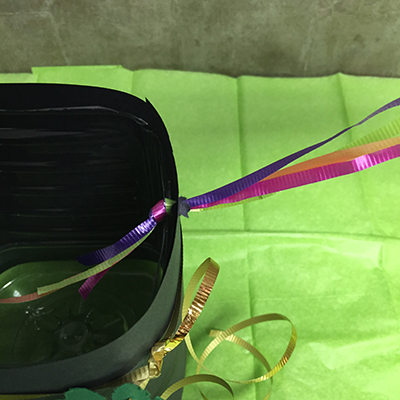 Take a piece of gold ribbon and wrap around the top of the "pot of gold". Step 5. 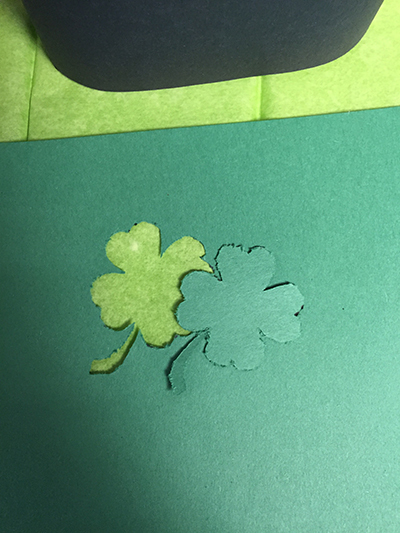 Either free hand or use a stencil to cut out a shamrock using the green construction paper. Poke a small hole on one side of the shamrock and lace through the ribbon. Step 6. Poke a hole on each side of the "pot of gold" near the top. Make the holes large enough to thread through 3-6 strands of ribbon. Step 7. Next, take 3-6 colorful strips of ribbon and measure each piece 20 inches long. The more colors, the merrier. Thread each strand through the hole. Once the ribbon is all through, tie them all together in one knot. Step 8. Braid the pieces of ribbon into one handle. 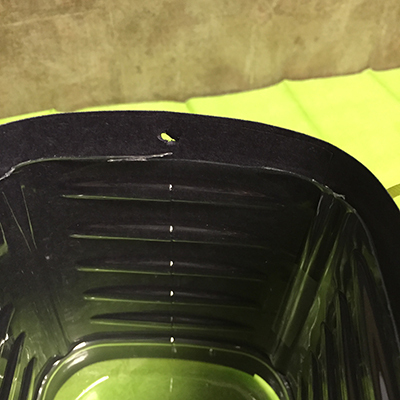 When you get to the end, thread the ribbon through the other hole and tie a knot at the end. Step 9. Last step...Fill with gold coins!